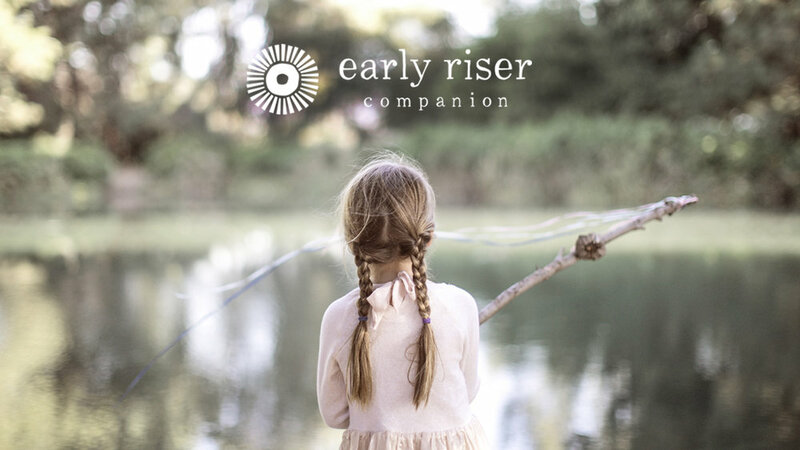 I am announcing with excitement and butterflies in my stomach the Kickstarter for Early Riser Companion, an indispensable family resource book filled with songs, rhymes, recipes and ideas for rituals and rhythms to layer into your home. It is a book for the new parent, a treasure for someone already along the parenting path, a spark of inspiration towards more growth and perspective. I would be so grateful if you would consider supporting this endeavor or sharing with your community if you feel that they would benefit from this work. When I was little, I loved reading the Farmer’s Almanac. So many interesting facts about the natural world and recipes and ideas on how to work with the earth. Early Riser Companion is the Farmer’s Almanac of Childhood. The What to Expect When You are Expecting which instead of how to nurture your child body and mind, it discusses how we nurture the spirit of our children and the soul of our family. When you are a new parent, there isn't a lot of time for reading. I wanted to create something that you could pick up and thumb through easily that leaves you feeling inspired and refreshed. It is the book that I wish I had been handed with the birth of my first child. During this time I have walked through seasons of loss and grief and seasons of joy and celebration as well. I have had moments of abundance and moments of scarcity. I have learned through tears and isolation the importance of nurturing community as well as creating a sanctuary of home. These lessons are ongoing and have taught me that this present moment is the most important one that we have. And that every day we have a perfect new day to try again. I have worked diligently over the past five years on this book. The kernel of this idea was born with Francesca and I slowly reached out to artists and mothers to fill them in on this dream of mine to see if they would want to contribute in some way. Together, we have created expressions of beauty that honor this season of childhood. I have thought long and hard and done a lot of research in foregoing a traditional publisher for Early Riser Companion. For one, I wanted full creative control over this project. I didn't want to have to spell out what it is or target it to everyone. It isn't for everyone. I trust it will make it's way into the right hands. I am so proud to be able to offer a creation that truly will be exactly how I would like to present it to you. Two, the environmental impact of publishing more than one needs is important to me. I have never had a "product" and, now that I have one, I want to be thoughtful of it's impact in our world. This creation of mine is deliberate and thoughtful. There is not a page that is in it that doesn’t come straight from my heart. I love that your hand will be in it if you order it. I cannot think of anything that is more perfect after sharing here for so many years.